I received the email last night and went through it this morning. Tell Albert that I am thoroughly impressed by his remarks and comments. They are not only well thought out, but he also given me insightful ideas on how to handle the changes. 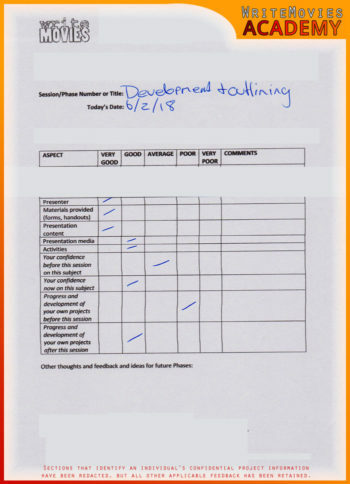 Ihad a previous analysis done from another company and was extremely disappointed with the feedback; Albert's comments came from someone who seems aware of the horror genre and does not look down upon it... And also, thank you very much for expediting the process.